EuroLeague announced a new and quite large fine for Dimitris Giannakopoulos. Panathinaikos owner Dimitris Giannakopoulos was imposed with an additional fine of 180,000 euros by EuroLeague Basketball, for attending Game 2 of the series vs. Real Madrid. This sum derives as a result of what is considered a repeated offense by Giannakopoulos since he had also attended a EuroLeague game vs. Olympiacos plus Game 1 against Real, despite his 12-month ban. Euroleague Basketball on Saturday announced a penalty on Mr. Dimitris Giannakopoulos of Panathinaikos Superfoods Athens on the basis of non-compliance with a previous sanction issued by the organization’s Independent Disciplinary Judge and modified by its Appeals Judge . The rulings were handed down based on statements directed at Turkish Airlines EuroLeague fans that were made public by Mr. Giannakopoulos and judged to be detrimental to the sport of basketball. At the end of the appeals process, Mr. Giannakopoulos was sanctioned with a five-month ban from arenas where Euroleague Basketball competitions are being played, until June 30, 2018, as well as an accessory fine of €60,000. The newest penalty being announced concerns the fact that Mr. Giannakopoulos disregarded the ban while attending the Game 2 of the Turkish Airlines EuroLeague Playoffs at Olympic Sports Center Athens between Panathinaikos and Real Madrid. Article 23 of the Euroleague Basketball Disciplinary Code, which is titled “Honouring of Sanctions”, states that non-compliance with decisions of the Independent Disciplinary Judge and Appeals Judge, among others, “will be considered an additional infringement” to be penalized with fines of between €30,001 and €280,000. 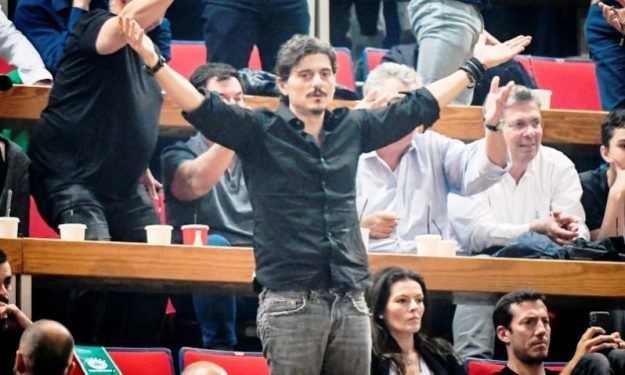 Mr. Giannakopoulos was previously fined €60,000 for non-compliance with the ban after he attended the Round 24 game between Panathinaikos and Olympiacos Piraeus. Mr. Giannakopoulos was subsequently fined €120,000 for non-compliance with the ban after he attended the Game 1 of the playoffs between Panathinaikos and Real Madrid. This time, Mr. Giannakopoulos has been notified by Euroleague Basketball of an additional fine of €180,000 in the form of a penalty for not complying again with the ban from Euroleague Basketball arenas, which remains in force, by attending Game 2 of the series between Panathinaikos and Real Madrid.